For the most impressive piece of conger eel you might ever lay your eyes on, head to Midori Sushi, known for its generous portions of fresh, glistening seafood served at surprisingly reasonable prices. 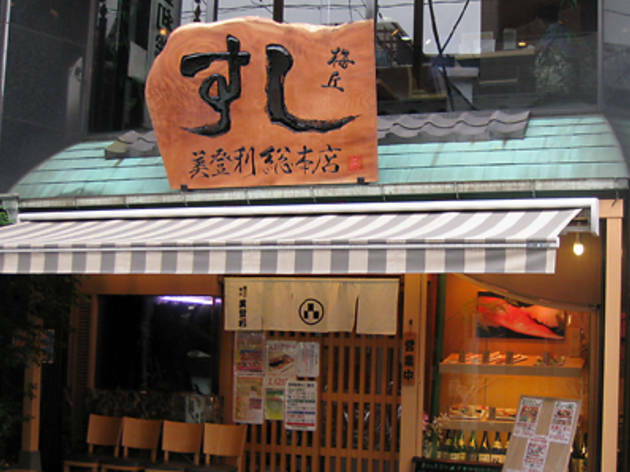 Even with eight restaurants, three take-out spots and a delivery service, all in Tokyo, queues can be seen snaking around Midori's buildings come lunch or dinner time, so this definitely isn't the place for a quick bite. Lone diners and pairs usually have a better chance of getting seated quickly. Tourists often make up the bulk of their customers during peak hours, especially at central locations like Shibuya. 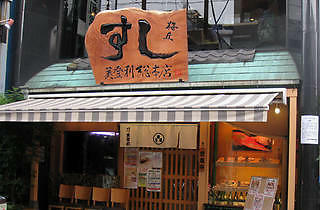 At Midori Sushi's main restaurant in the quiet neighbourhood of Umegaoka, the midday wait is usually shortened quite a bit after 1pm, so try aiming for a late lunch. Lunch sets range from ¥850 to ¥2,500 and include green tea and miso soup. The chefs are often friendly, chatty and helpful, sometimes giving customers free tastings of more unusual delicacies.